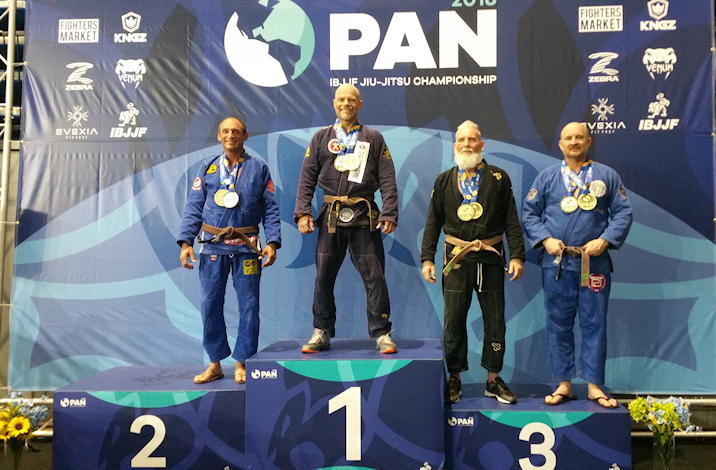 The IBJJF Pans are a lot of fun to attend because, unlike Masters Worlds, the adult divisions are here as well. 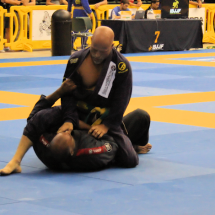 There are lots of big names competing in the adult divisions, especially at black belt. 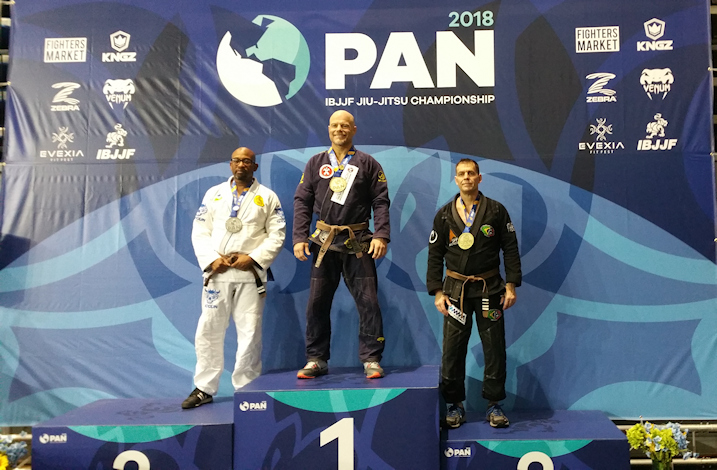 Medium-heavy Brown belt master 5 only had three competitors. The three man bracket is the only bracket that is not always single elimination. The loser of the first match then competes against the third man. The winner of that match goes on to the championship against the winner of the first match. So, it is possible to lose the first, win the second and then still be in the finals. I won the first match 11-0. He went on to beat the third man 2-2 by and advantage. I then beat the same guy again in the final 9-0. The open division had 9 sign up. Unfortunately we had to wait around for my quarter-final opponent. They called for him for about 25 minutes and then disqualified him as a no show. 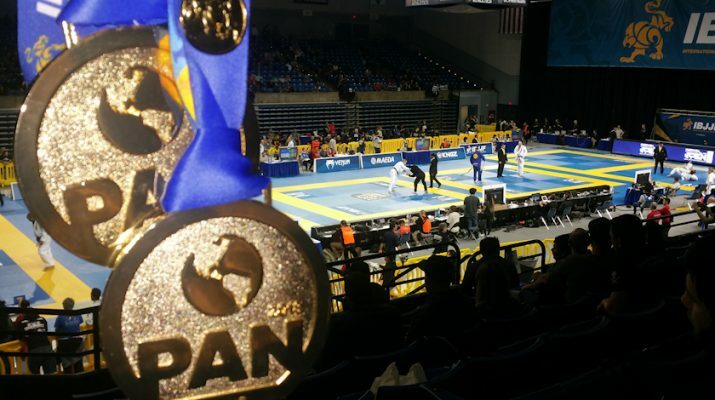 That advanced me to the semifinals where I won 2-0. My opponent for the final had injured his knee as he won the semifinal and was not able to compete. I would rather have had a match for the final, but it was out of my hands. 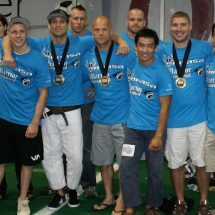 It was a stacked podium as each of us had won our respective divisions at weight.